If it gets cold where you live then chances are you already know how great flannel sheets are for taking the chill out of the coldest of winter nights. Simply put, flannel feels different. When you slip under the covers at the end of the day you’re immediately cocooned in a nice warm bed. You don’t have any of that nasty sheet shock waiting for the bed to warm up. Not only is flannel always warm to the touch but a quality flannel sheet set can help cut your electric bills. By snuggling up in a set of flannel sheets you can turn the thermostat way down saving lots of money on home heating. There are all sorts of flannel imitators out there but the most important thing to know is that flannel needs to be made out of cotton, and the heavier the better. Also look for pill resistant flannel. 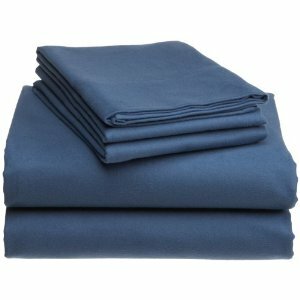 You will find that most good quality sets such as Pinzon flannel sheets, are pill resistant. All natural cotton fiber means you don’t have to worry about adverse reactions from any harsh synthetic materials. It’s perfect for those with sensitive skin. Flannel sheets are available in a variety of colors and patterns so there is bound to be a design to fit your bedroom decor. Flat flannel sheets can be multifunctional, you can use it as a blanket by itself when curling up on the couch.